2017 Yamaha Overall "Dealer of the Year" - 2015 Yamaha Overall "Dealer of the Year" - 2014 Yamaha Overall "Dealer of the Year" and Bosendorfer "Dealer of the Year" - 2013 Yamaha Hybrid "Dealer of the Year" - 2012 Yamaha Overall "Dealer of the Year", and Wm. Knabe "Outstanding Dealer" - 2011 Wm. 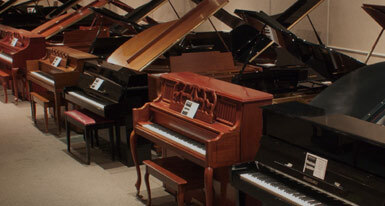 Knabe "Rising Star" and Bosendorfer "Dealer of the Year" - 2010 Bosendorfer "Dealer of the Year"
With over 270 years of combined piano knowledge, our factory trained staff has the ability to fulfill your musical needs. 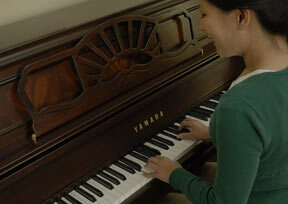 We can help you select the right new or used piano to fit your exact space and musical needs. If you're in Northern California and want to work with a dealer that is interested in building a life long musical relationship, please visit one of our showrooms. Commitment to You Unlike "discount" or "warehouse" stores that only care about making a sale, Music Exchange cares about you and your instrument needs. 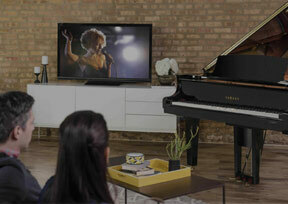 We take pride in helping you find that "perfect" instrument. 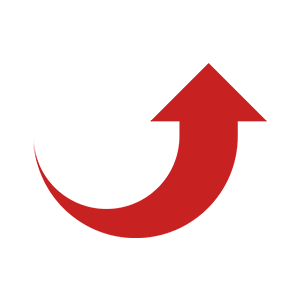 By building a relationship, not just a sale, we create enthusiastically satisfied customers for life. Commitment to Value Purchasing from the right dealer can be just as important as selecting the right instrument. We are committed to giving you the best value without compromising the quality, care, and service that Music Exchange customers have come to expect. 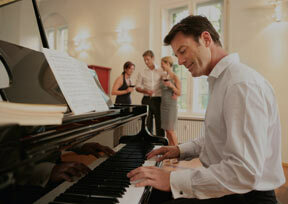 We are so confident that your instrument choice will be the best value anywhere, we guarantee it in writing. 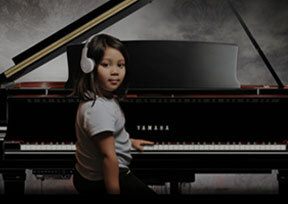 Commitment to Quality Music Exchange is the premier purveyor of the finest pianos in Northern California. 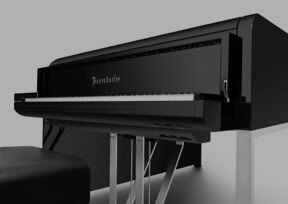 Many piano manufacturers would love for us to represent their instruments, but only a few meet our rigorous standards of quality. 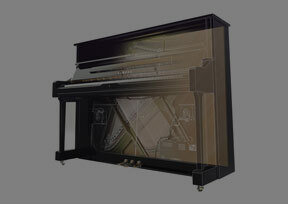 From a beginner to a concert artist, we have the finest pianos at any level. 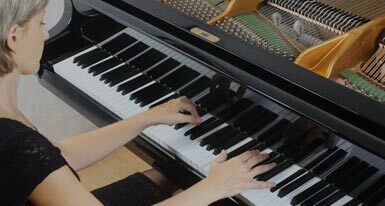 Commitment to Service We have long believed that when you purchase from Music Exchange, you have put your trust in us to be there throughout the musical life of your instrument. 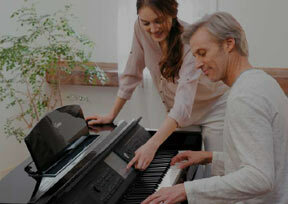 Providing you and your instrument with outstanding service is one of the cornerstones on which Music Exchange has built its reputation. 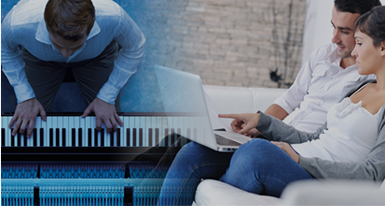 From servicing your instrument for delivery, to placing it in your home with care, to being there for you throughout the years of musical enjoyment, Music Exchange strives to exceed your expectations. 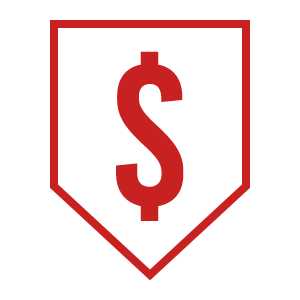 We'll beat any internet retailer or in-store pricing, guaranteed. 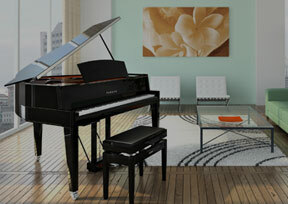 We offer a 100% trade-up credit if you decide to upgrade your piano. 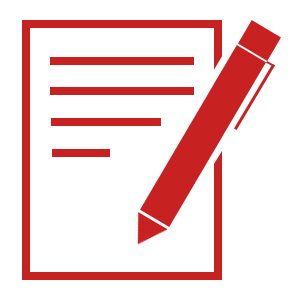 Flexible payment options and financing through Allegro Credit.